'The Gap / Jersey City, NJ / vintage 1976' by Daniel Cuesta - DPC Prints! This was taken in 1976 with tri-x and processed to display the grain. 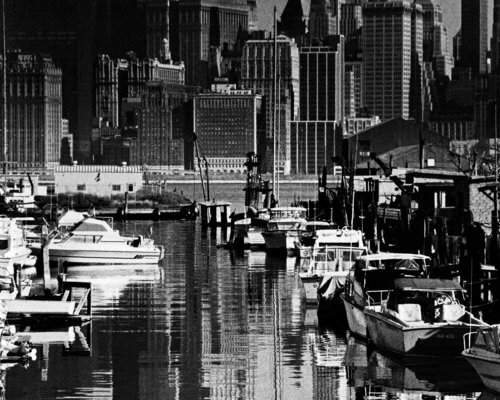 The Gap was a a lovely marina in Jersey City and eventually gave way to the urban development. It was captured with a 2 1/4x 2 1/4 Mamiya.